Sullivan, Arthur, 1842-1900. Golden legend (Album leaf). 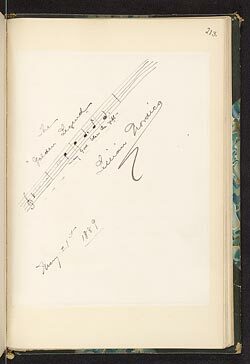 The golden legend (album leaf): manuscript in the hand of Lillian Nordica, 1889 May 21.